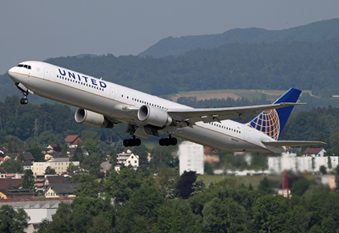 The 767-400ER is 6 metres longer than the 767-300 and has a greater wingspan by approximately 4 metres. Its range is shorter than the 767-300 as it retains the same fuel capacity, but the -400ER can carry up to 375 passengers over 5,600 nautical miles. It entered service with Continental Airlines (now merged with United) in 2000 and there are currently 37 of the type in operation. Whilst somewhat rare, it is distinguishable from other 767s by the lack of wingtips – the majority of other 767s have been retrofitted with vertical winglets. 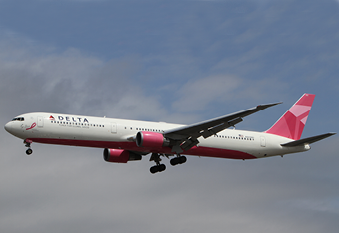 The only two operators of this aircraft are United and Delta Air Lines.